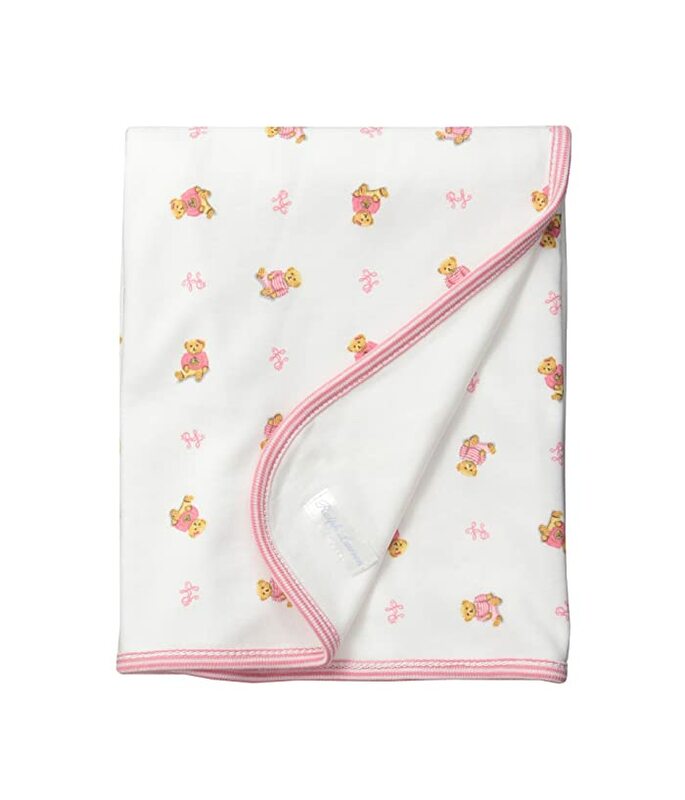 Snuggle up in style with the Ralph Lauren Baby Printed Interlock Bear Blanket. Luxuriously soft blanket crafted from a cotton-jersey fabrication. Designed with an allover bear print at one side and a solid underside. Finished with ribbed and overstitched trim.